A western wildlife and landscape artist, Sheryl Bodily is a resident of Montana. He was the winner of the 1986 Ellensburg Washington Rodeo Association Poster Award, and recently received Best of Show/Flatwork at the Florence Festival Art Auction in Florence, Montana. 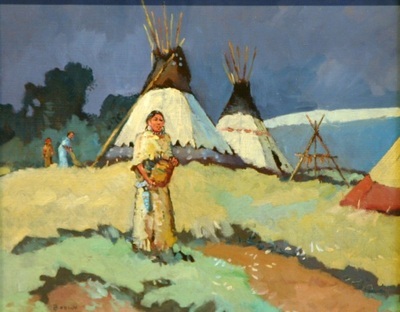 In the fall of 1970, an art auction was held through the Pacific Northwest Indian Center in Spokane, Washington. To that auction a young man named Sheryl Bodily, from Columbia Falls, Montana, brought a few of his oil paintings. A good deal of excitement was caused by the fact that Mr. Bodily's paintings were sold at auction for twice their listed value. A few months later the performance was repeated at another art auction in Great Falls, Montana, and suddenly an artist who had been painting professionally for 12 years, two of them full time, was discovered. Suddenly a man who had had to work hard to sell his work, found himself with more advance commissions than he could readily complete. Western artist Sheryl Bodily was born in Boise, Idaho, on April 20, 1936, the second oldest in a family with one brother and four sisters. Mr. Bodily's father was a farmer in the Boise Valley, and he remembers six moves to different farms in that region. He described his father as the breadwinner and his mother as the counselor and teacher in his early years. "I remember milking eight to fifteen cows which was always my chore at home, but my real interest at that time was the hobby of collecting arrowheads and other artifacts in Rocky Canyon with my younger brother near Meridian, Idaho." His enthusiastic interest in Indian people and their contemporary culture has continued to grow over the years and has had a tremendous influence on his art. Mr. Bodily first remembers drawing in the first grade of the Meridian Idaho Grade School, and being told at that time by his teacher that someday he would become an artist. The artist laughingly suggested that, "it took nearly thirty years to prove her right." Mr. Bodily began oil painting at 14, and oil has been his primary medium since that time. He has also completed a number of works in pen and ink, but at present works almost entirely in oils. "I would like to do more pen and inks, but I´m so busy now with oils that I really can't find the time." After completing high school, Mr. Bodily studied commercial art for two years at Brigham Young University in Utah. He found during those two years that commercial art held little interest for him as a lifetime pursuit and at the end of two years he accepted a call to serve a two and one half year mission for his church to the Spanish speaking peoples of Texas and New Mexico. 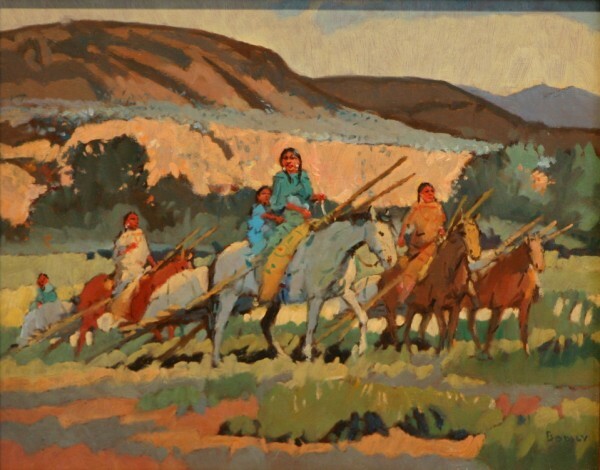 During this period, and shortly afterward, he traveled extensively in the southwest and expanded his interest in contemporary and historical Indian culture to include those of the southwest. Those years influenced his art and this influence can occasionally be noted in the rich colors used in the countryside depicted in some of his works.